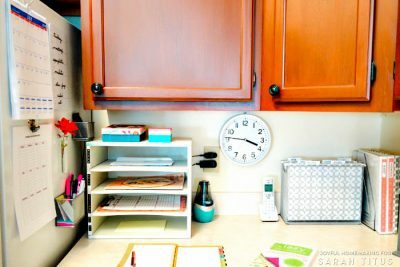 I recently found out about chore kits, and thought it was an amazing way for getting chores done around the house! In my opinion, it’s an efficient and satisfactory way to get your house together, which can be so challenging with everyone’s busy lives. Anything that will make keeping my house sparkling off of a hoarding reality tv show, is a winner in my book! I saw this idea on Pinterest from This Is How We Mommy, and I had to give it a spin. 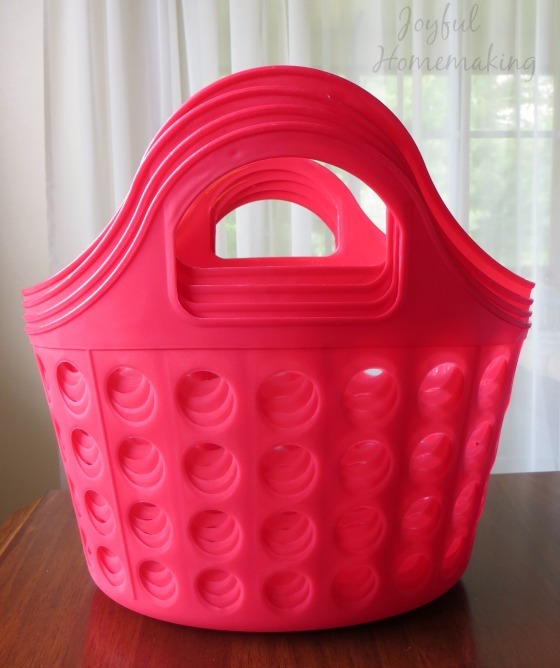 It keeps the cleaning supplies for each room in a bin or basket. 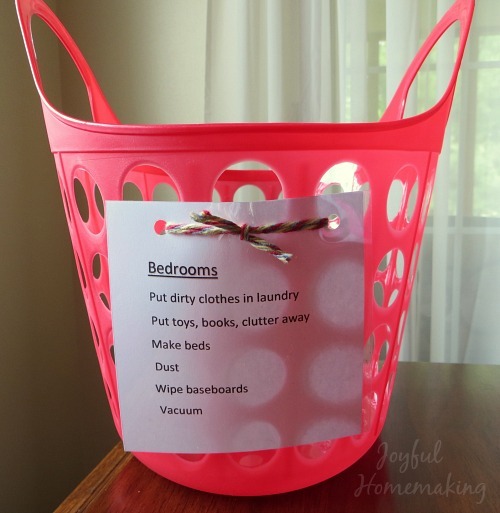 A list of what needs to be done in that room is attached to the outside of the basket. So that way if it’s a spouse, child, or helper cleaning, they know what the expectations are for getting each room tidy and clean. Isn’t this a nifty idea?! 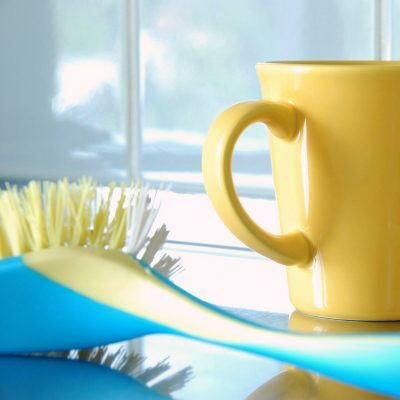 You can save so much time by not having to gather your cleaning tools from opposite ends of the house when you need something. Since all the supplies you need, like dusting rags, sprays, dust pans, wipes etc. are at your fingertips, that’s almost half the battle done. 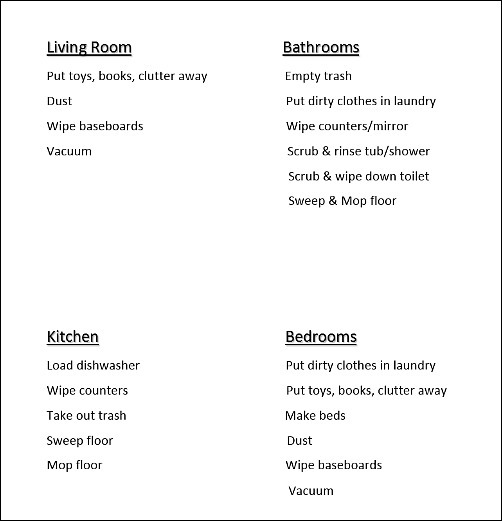 But that’s not the only benefit of these kits, I made up a list of chores that need to be done for each room. 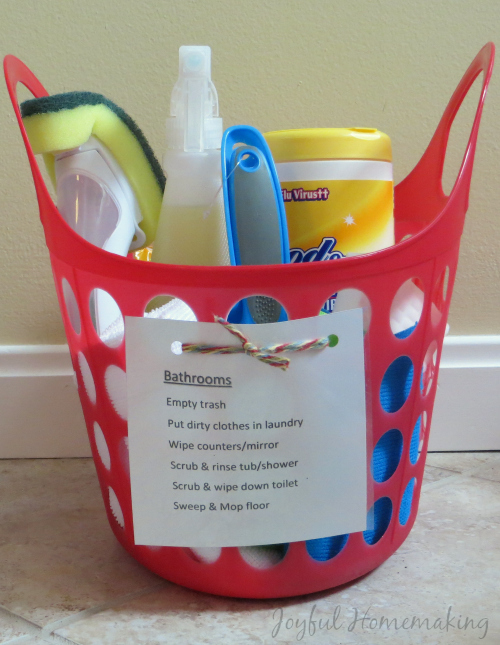 I’ve made it into a free pdf file so you can print it and attach it to your baskets too! I picked up these baskets to use from a dollar store. 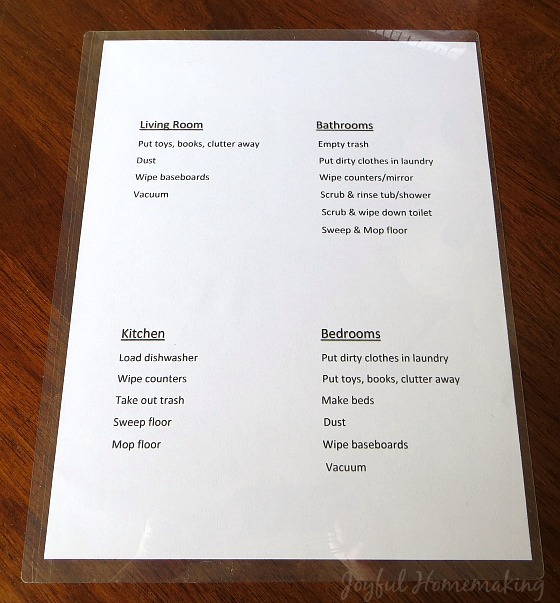 Finally, in Word, I made up a printable document with a list of chores for each room, and spaced them so I could cut them up into separate cards. 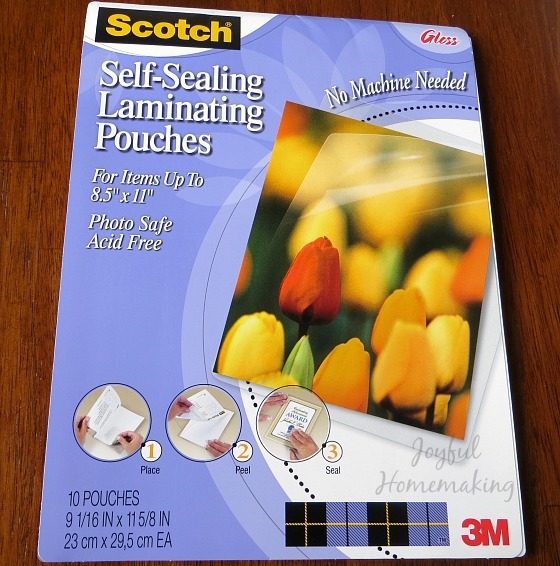 To make them nice and sturdy, I purchased laminating pouches (I use them frequently for many other projects as well). They are so easy to use, you just slip the paper in and seal it! Then I used a cutter to cut the lists into squares of equal size, leaving extra room on top to punch holes. After lining them up on the baskets where I wanted to position them, and marking with a dry erase pen, I punched my holes with a hole puncher. 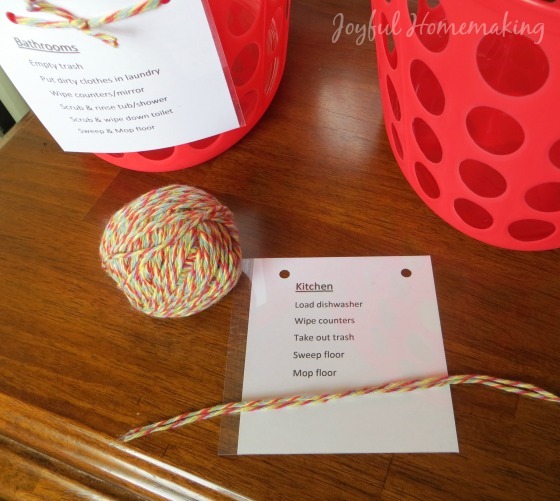 You could use ribbon, yarn or twine to tie each card onto the baskets. 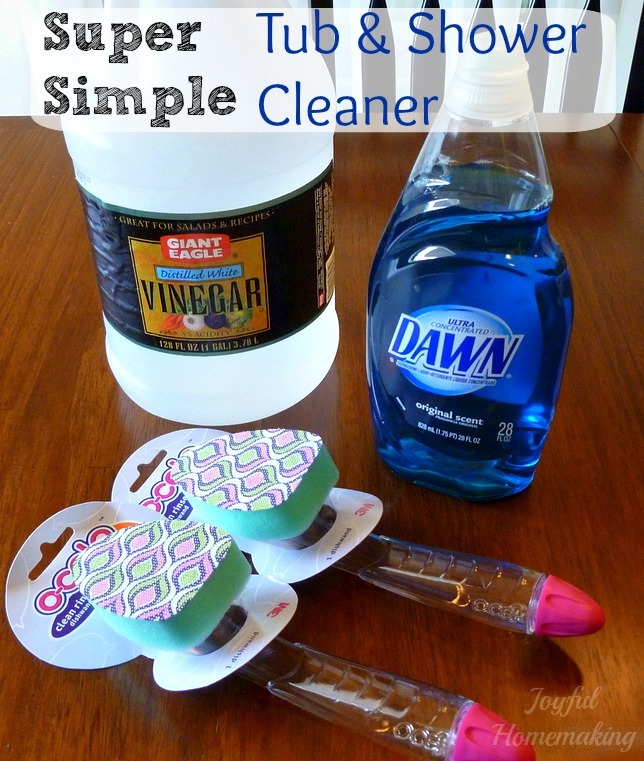 For the supplies, just use your family’s favorite cleaning products. ****Also, if you will have children helping with the cleaning, make sure the products you use are appropriate and safe for their ages. 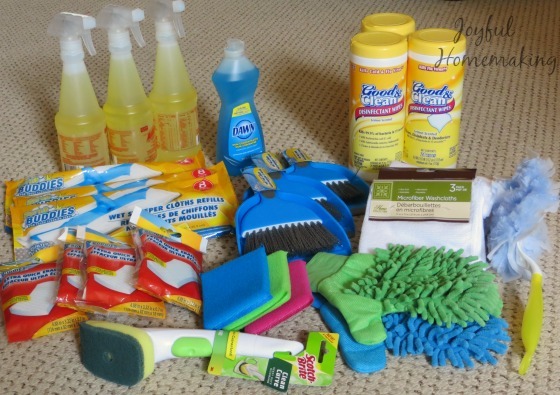 In my kits, I included microfiber cloths, and various dusters, magic erasers, wet mop cloths, scrubby pads, general all purpose cleaning sprays, mini dust pans (I got mine from a dollar store), disinfectant wipes, and my favorite fill-able dish wands. These are the ones I use to clean tubs and showers. 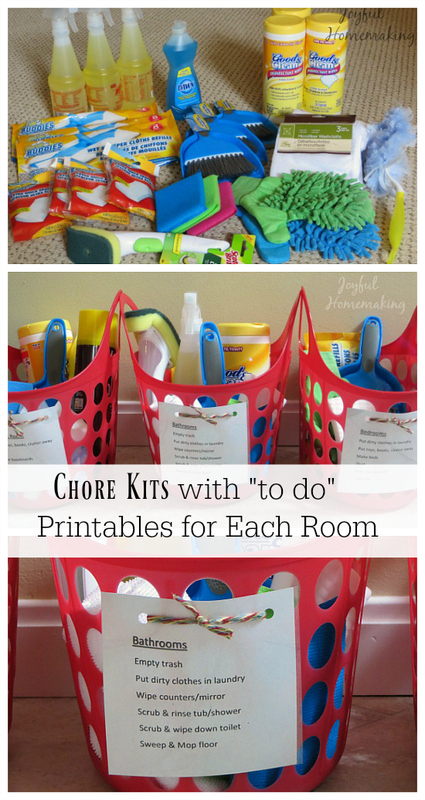 The chore lists for each room are the perfect additions to these kits! Store them where ever is safe and convenient for your family. If you have little ones, of course keep the kits up out of their reach. Have fun making up your own chore kits! 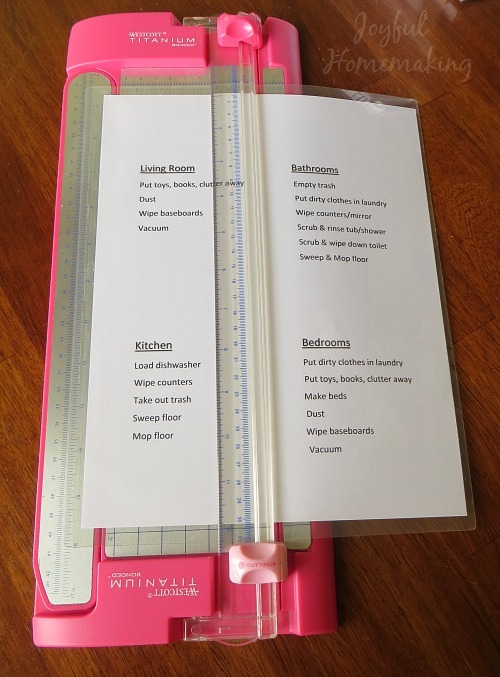 If you’d like to get started with printable chore charts, I have just the ones for you in different colors! 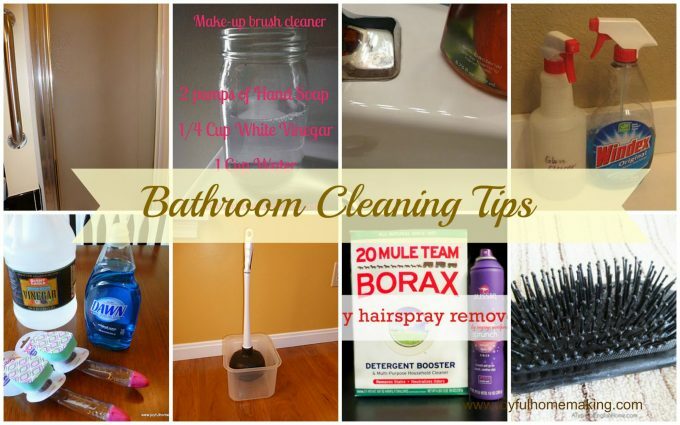 In addition, here are some other cleaning tips, just click on the picture to go to the post! Hey, great idea! Need to pin this to try with my four year old. She actually really likes to “clean” (she tries) and loves when we let her use the sponges and sprayers. I think she would love this and what a great idea to start instilling the idea of responsibility. 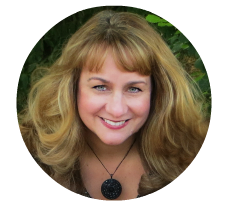 Found you on the Inspirtation Monday link up. Thanks for sharing! 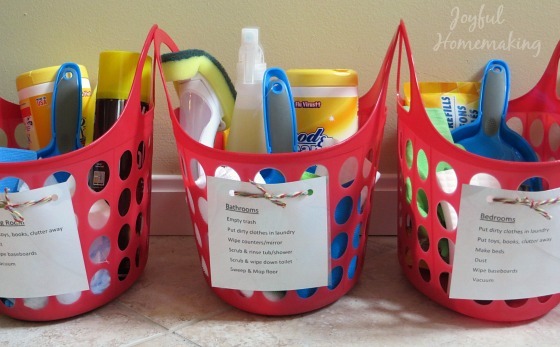 I love the idea of keeping all the cleaning supplies needed in each room. Sure does cut down on running up and down the stairs to grab everything you need. 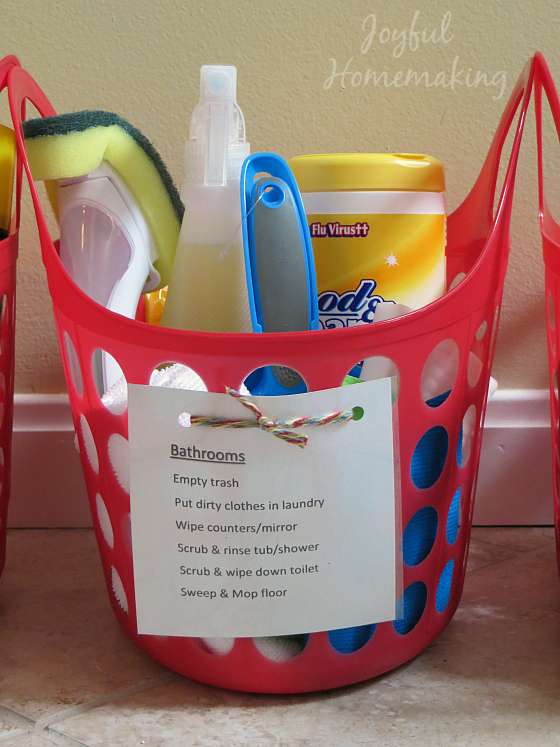 Cute baskets and printables as well. Thanks for sharing! These are so cute!! 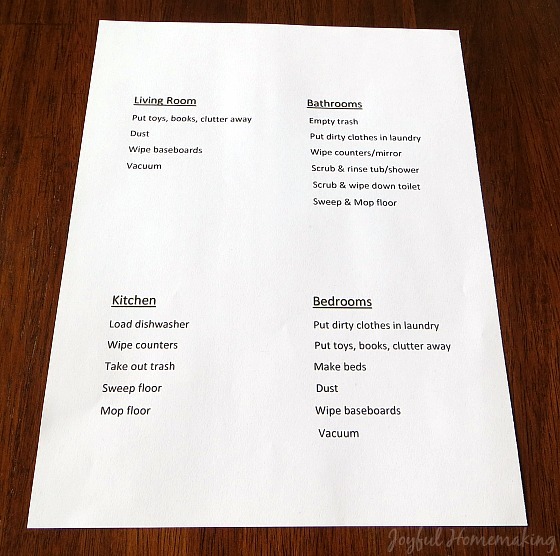 My children have recently started doing chores and this would so cut down on some of the time wasted when they are doing chores. What a fantastic idea! I have got to make myself up some of my own baskets. Thanks for the idea! This is awesome! 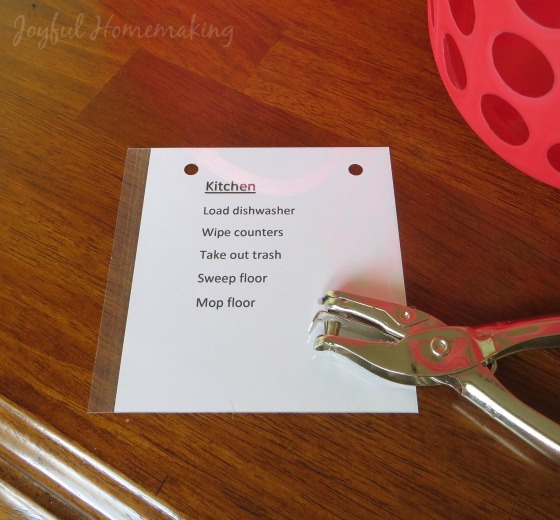 I love the addition of the chore list printable. Thanks for sharing! Thanks for sharing such an amazing idea,I really cant wait to try it at home. The kids will surly be mad they have to clean but its a nice way to put them to work in an orderly fashion. Such an awesome idea, thanks for sharing! 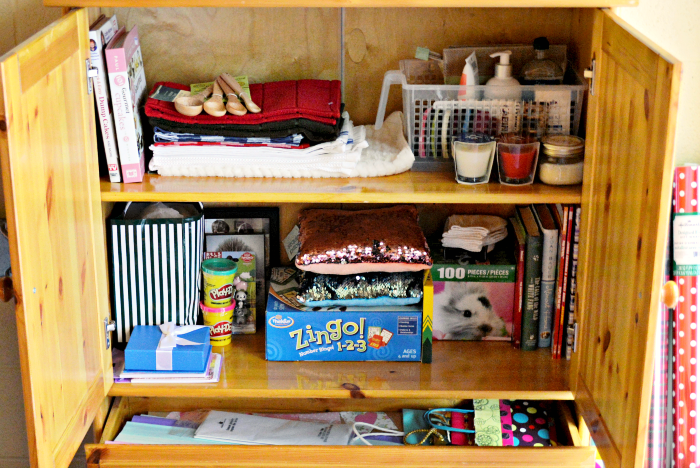 Wow, you are so organized! I though I was but I have a lot to learn. Thanks for linking up with Funtastic Friday. What a great concept!! I found this post through the Homemaking Link Party. 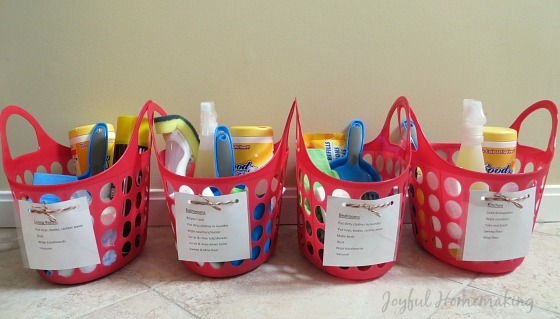 I might tailor it and make a basket for each child with different responsibilities based on their ages, but great idea! Cute idea! I may have to try something along these lines! 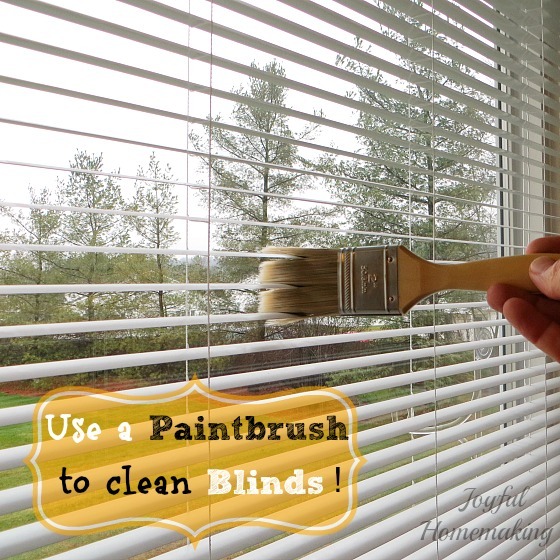 What an amazing idea for getting the kids involved with the everyday chores. Love this!! Margo, can I tell you I love your cleaning tips! Thanks! Also, I have a sister named Margo! Great name. I normally keep everything I need to clean in one big container. I can see how having different containers would work. I like the one for the bathroom especially. Now I might have two containers. Great idea! I know my Mom used to do something similar for the bathrooms. We would often just walk what we needed over to our bedrooms to clean. These are great! We have something similar for my son who is responsible for cleaning the toilets (which is a job he actually loves! lol! ), but I really like the addition of instructions. Oh my goodness. I love this! Going to do this over the weekend and get my boys to help me. Oh my gosh I love this idea!!! I’ve always struggled to come up with ideas for my Little Man for age appropriate chores. This whole idea is wonderful and keeps it all together! 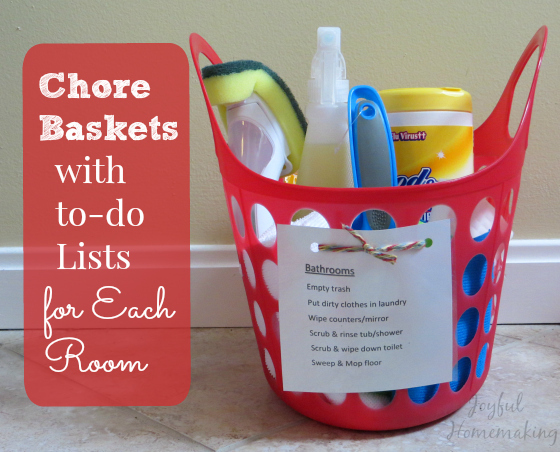 What a great way to keep track of chores! I will definitely be employing the use of that printable, thank you! I have to say I would love one of these baskets even for myself!! Great idea!! What a fabulous idea! I’m going to do it! Thanks for sharing! 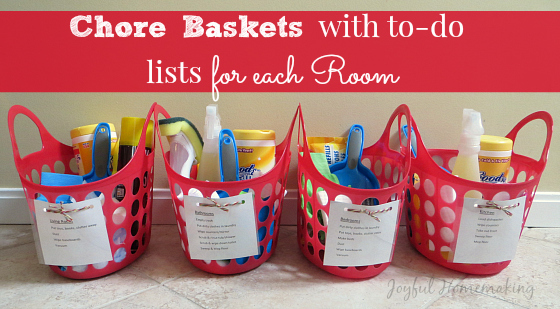 I’d love to see listed what you have in each basket, for each space! Thanks! This is a good idea I need this in my house hold. I do not have kids but I can use it. 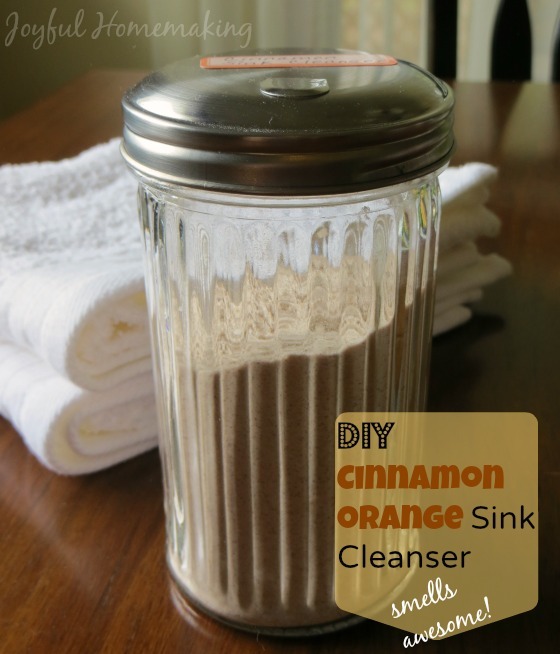 Brilliant cleaning hacks! Love it! What a novel idea! I’m always writing individual lists- this sounds a much better use of time! Thanks for sharing at Fiesta Friday .